thought i'd show what i made for my niece for her 5th birthday this year. i swear she gets all the cool art presents from me cuz we happen to be into the same stuff. (don't judge me!) last year for her 4th bday present, i drew her as a Sugar Rush character and dubbed her CHOCOLEA PINKLEBERRY. which she totally still remembers and i think that's just durned cool. this year, she had a Frozen-themed birthday party and she loves Anna. 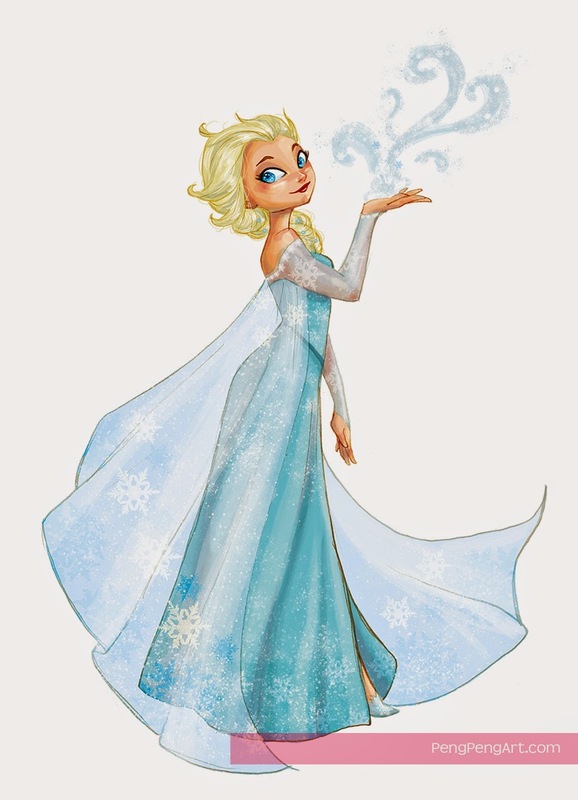 so instead of just drawing some Frozen artwork, i wanted to personalize it and drew her this! she said she was gonna put it next to her Chocolea Pinkleberry. AAAAWWWW!!!! 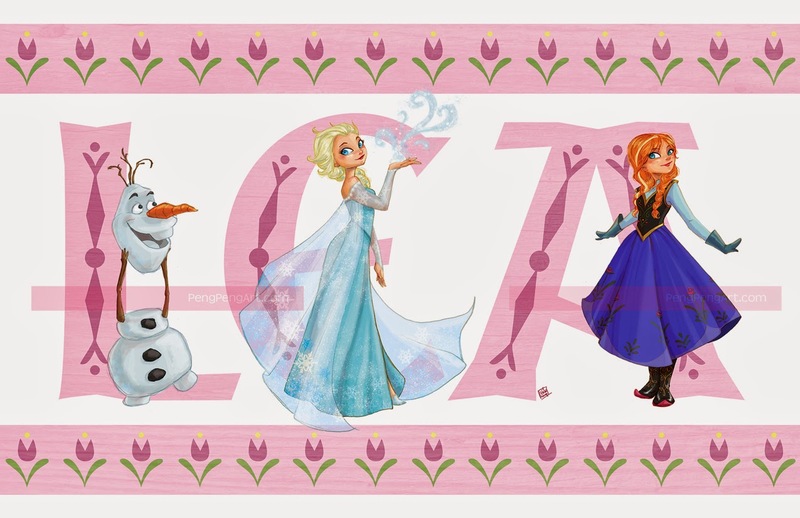 the letters and decorative elements were absolutely recreated from my Art of Frozen book. wanted it to look as "authentic" as possible. then i just added a wooden texture over the background elements, just cuz i thought it'd be cool. =) don't worry copyright police, i only made this one piece for my niece as a present. i have zero intentions of selling this in bulk or whatever. not even on my Etsy. 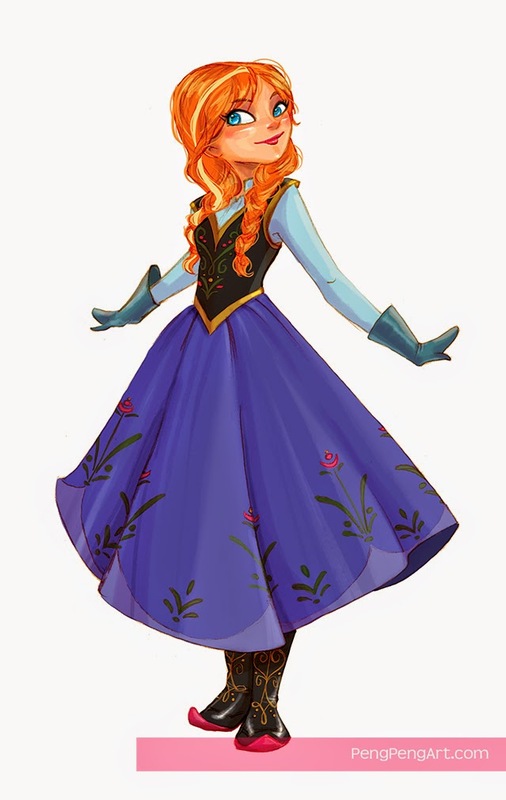 i really had fun coloring Elsa. got a splatter brush that works great and some snowflake brushes for the bold patterns. 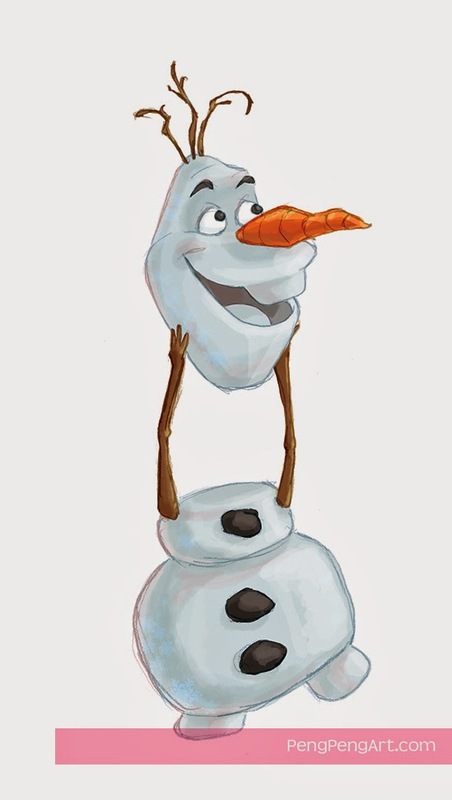 oddly enough, Olaf gave me the hardest time to draw. his design fights all my natural urges when it comes to drawing snowmen. he's all angular and not really very cute in the way that i think an illustrated snowman could be. i musta redrew his face like 20 times. something about what i was doing made him look sad. don't ask me, i have no idea why. eventually, i got it. its weird that what seems like the simplest character is actually the hardest to get right. anyways, wish i had an artistic aunt when i was young to draw me my favorite things. ah well. i guess i'll just be the cool aunt that does that. i can dig it!